Never go to an interview unprepared again. 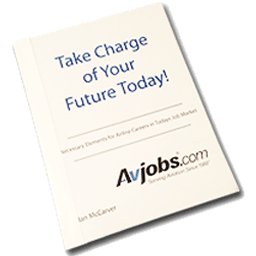 Take Charge of Your Career with the Avjobs Career Guide. Necessary Elements for Careers in Today's Aviation Industry. "Take Charge of Your Future Today!" The aviation industry offers career opportunities to suit many interests and backgrounds. As aviation remains an integral part of our society, there is a growing need for qualified personnel. 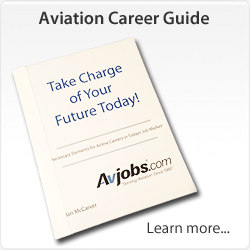 Avjobs.com provides this look at careers in aviation for you as you plan for your future. 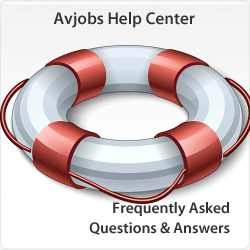 Many of the careers in this publication are available in the Avjobs Applicant System. What are the biggest needs in the aviation industries? People that are committed to the aviation industry. Qualified, career oriented, dedicated, educated employees are always a high value to any industry. The willingness to be flexible and meet the needs of the employer is a quality that they are seeing less and less of each year. Where are the biggest employment pools in the country for aviation personnel? This question cannot be answered so simply. 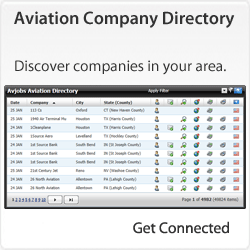 Some locations have more aviation related companies. But, employees can come from anywhere. 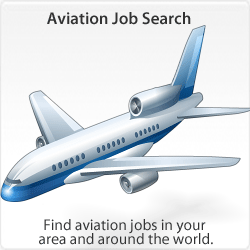 Aviation is a highly mobile industry with jobs available almost everywhere. What is the job outlook for the future of aviation employment? The job/career outlook is great for all areas of aviation. Aircraft will continue to fly, routine maintenance will continue to be done, employees will retire or move on to other companies, companies will grow and there will always be a need for quality employees. Is the number of jobs exceeding the number of qualified people to fill them? At this time YES! Many employers report that positions go unfilled for more than 180 days due to the lack of qualified applicants. In most cases applicants are simply unaware that the positions are available. All Aviation Jobs, All Categories, All the Time. If you're looking for a job in the airline, airport, aerospace, or aviation industry, you need this resource. The Aviation Career Guide provides readers with proven steps to securing a job in aviation.